It doesn’t seem like that long ago when I first started cursing the patcher for Runes of Magic, and now here we are at its tenth birthday. As the genre continues to age I guess we will continue to have these sorts of anniversary milestones for those games that continue to hang on. All the more so, I suppose, with a company like Gamigo vacuuming up strays and keeping them online to milk revenue out of them while putting in as little effort as possible to keep them viable. I don’t think I will be covering them all. 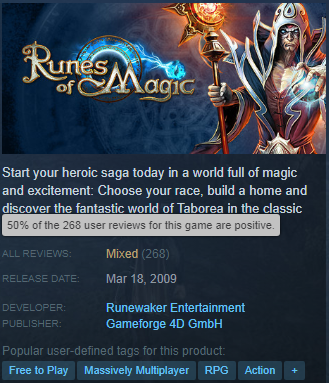 But Runes of Magic is a bit special, both because I actually played it for a while and because it was kind of a big deal back when it launched. Back in 2009 there was still something of a divide between MMORPGs of the western, subscription sort and the free to play Asian imports. Runes of Magic was going to bridge that gap, being more western in design… “western” really meant “like World of Warcraft” by then… and the Asian cash shop business model. This was during a time when “free to play” was usually a post-launch salvage plan rather than a day one feature. And even when Runes of Magic launched, that mostly applied to what one might call lesser tier games, like Asian imports and struggling titles such as Anarchy Online. The rush to free to play wouldn’t begin in earnest until Turbine brought Dungeons & Dragons Online to that model, a plan only announced in June of that year, to becoming the poster child for the new found riches to be found there. More egregious, to me at least, was the whole bank space rental program. You need more space to store your stuff? Then you need to rent… not buy… more slots at the bank. You could do that with the in-game currency, but you could always use the RMT currency as well. People were also peeved that the game felt too WoW-like, as though people were not actively throwing tantrums about any deviation from the WoW model around then. You needed to follow all of the Blizzard conventions and yet not be like WoW I guess. Anyway, the game launched and has carried on ever since. It got a reasonable following, though that is hard to judge from the outside. And in a world where WoW is the benchmark, most MMORPG populations seem microscopic. The game itself, after consolidating down to two servers, one for North America and one for Europe, made its way to Steam towards the end of last summer, where it has received mixed reviews. Also, the release date listed there is wrong according to all the sources I’ve seen, including my own blog post marking the launch day. It should be March 19, 2009. A decade in, the game is what it is. It looks and feels a bit out of date. If you feel it copied WoW, then the version of WoW it copied was from 2007 or so. But the negative reviews mostly take it to task for its business model and how things changed when the original publisher, Frogster, sold out to Gameforge. Gameforge seems to work on more of the Gamigo model, keeping multiple games (they run TERA, Wizard 101 and a batch more) up and going while not being particularly focused on any given one. The free to play business model always has that problem. There is always the temptation to make buying from the cash shop a bit coercive or to reward buyers with power in order to boost sales. As for the move from Frogster to Gameforge, that seemed to herald the end up serious content updates to the game. Instead Runes of Magic settled into the semi-stasis of holiday events, cash shop specials, and other minor changes. Still, the overall situation, being free to play in a stable of games like that, is probably the best hope for long term survival when it comes to lesser titles. And they haven’t completely ignored Runes of Magic. 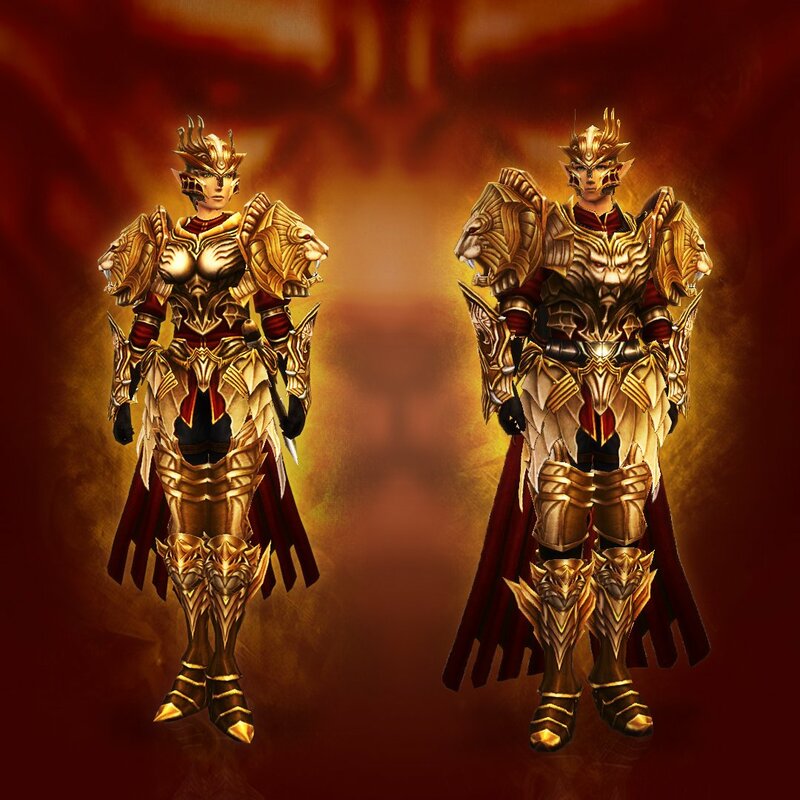 The shop gets new items and they have a series of anniversary events running now, including a free cosmetic gift set. I am not sure I’ll be able to find the time to go and visit the game, even with that outfit as an inducement. As I will no doubt repeat at least a few more times, this month has been pulling me in too many directions already with nostalgia related events. In that mix, Runes of Magic hitting ten years is somewhat down the list. But I was back to visit in 2017, around the eighth anniversary, and somehow I doubt much has changed. So if you want my impressions of the game from then, you can find them in the series of posts listed below. Other than that, congrats to a game that has lasted a decade. This entry was posted in entertainment, Runes of Magic and tagged Gameforge, Meaningless Milestones on March 19, 2019 by Wilhelm Arcturus. You threw me for a moment there with the statement that Gameforge runs Wizard 101. I always thought W101 (and Pirate 101) were owned and published by KingsIsle. And indeed they are…outside of Europe. W101 launched in 2008 as a North American title but the EU publishing was handled by Gameforge from 2010. https://www.wizard101.com/game/announcements/2010august26 . The anouncement calls it a “licensing agreement” so I guess KingsIsle still owns the rights. They certainly still own and operate the 101 titles in the USA. My own 101 accounts both seem to be with KingsIsle and I assume I’m playing on North American servers. I don’t recall ever even noticing there was an EU Gameforge-hosted option. As for the number of anniversaries of MMOs we can expect, I did a bit of research on this a while back and we’re talking dozens. I think there’s a msitaken assumption that most MMORPGs we don’t hear about have closed but it’s just not the case. Many are still there, running on who knows what income, serving who knows how many players. There are already plenty of not-so-well-known MMORPGs with an age in double figures but there’s a slew of familiar names just about to hit their first decade this year and next. Whether that’s going to dilute the impact of the anniversary anouncements or whether there will be a snowball of interest around them remains to be seen. Runes, like Allods, was an easy f2p MMO that could have wrested my friends and I away from WoW if only there had been a little more market savy variation – Runes was too shocking an early entry to rent-all-the-things, Allods was too PVP-obsesssed. Either could have done much better based on the buzz if they’d been more flexible I would say.